Are you in the market for a new home? Whether you are buying locally or are from out-of-town, you need to enlist the help of a buyer’s agent. Why? A buyer’s agent will work on your behalf to negotiate the very best price and terms for you the home buyer. And the very best part is this service is absolutely free to you. Many home shoppers believe they have to pay a fee or commission to an agent to work on their behalf. Others think they have to use the listing agent for best results. The real truth is that the seller pays all commissions and a listing agent works on behalf of the seller – not the buyer. Whether you decide to work with an agent or not, the seller is still responsible for the commission. When you don’t hire your own agent, the only person who benefits is the listing agent. It is a common practice for a buyer’s agent to have the buyer sign an agreement which is referred to as an Exclusive Buyer Agency Agreement. This contract outlines specific services provided by the agent, how the agent will be compensated and how the respective parties will work together. The buyer’s agent will be doing a lot of research on your behalf and they will spend considerable time to find you the perfect home in your price range. 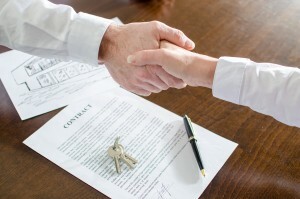 This agreement ensures they will be compensated by the seller after the closing takes place. Look for an Accredited Buyer Representative (ABR) to ensure that you are working with someone who specializes in representing the buyer. A good analogy for hiring a buyer’s agent is that you wouldn’t hire the same attorney as your spouse in the event of a divorce. So why would you use the agent that represents the seller. You want someone to negotiate with your best interests in mind and make sure there isn’t a conflict of interest. What is included in a Buyer’s Agent Agreement? The agent must disclose if they are working with another buyer that is interested in the same residential property. The agent will show all properties in which the buyer has an interest and that fit within their budget and buying criteria. Work with the buyer to connect with service providers such as utility companies, home inspectors, lenders, and home warranty companies – any connection that will make the closing go smoothly and on-time. Buyers will not call listing agents to see their properties, even if they believe they are saving the buyer’s agent effort and time. The home buyer needs to clearly define any deal breakers or must haves to assist the buyer’s agent in their research efforts to find the very best fit to your dream home. Always interview several agents and select one that you are confident will do the best job for you. Be sure and examine their reviews and ask for references. Ask lots of questions to make sure the agent is familiar with the area and the type of property you wish to purchase. Keep in mind that an agent is only as effective as the information they are given. Also, if you are relocating from another area of the country to Myrtle Beach, you need a local real estate agent that is familiar with the specific area you desire – oceanfront, golf course community, retirement community, condos, etc. Buying a new home is the biggest financial investment you will make in your lifetime. Make sure you find the right agent for you. Call Full Potential Real Estate today to schedule a convenient time to discuss your dream home and explore the possibilities.